"Every person has a power to find his or her unique way to fulfill his or her best potentialities and overcome life obstacles. My aim in psychotherapy is to be efficiently helpful to my client in the effort to find this way." Psychologist with erudition and experience in PCA psychotherapy and counseling, group dynamics and organization development. Experienced with work in different cultures, fluent in English. 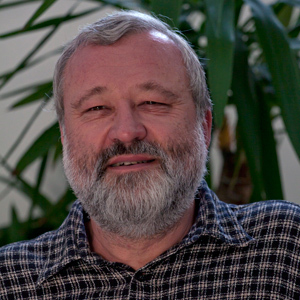 Founding member and a former president of PCA Institute, Praha (NGO providing PCA psychotherapy). 1990 - 1994 European learning and training program in Person Centered Approach in Psychotherapy and Consulting, guaranteed by Person Centered Approach Institute - International, in Lugano, Switzerland. since 2010 Chairman of the board of Baobab o.s. Founder and executive director of Almakon s.r.o.